We encounter physics before we've even left the house in the morning; an alarm clock tracks time, a mirror reflects light waves and our mobile phones rely on satellites held in their orbit by gravity. Where would we be without the Bernoulli equation to explain how planes fly, electromagnetic waves enabling us to communicate around the world or the discovery of X-rays? 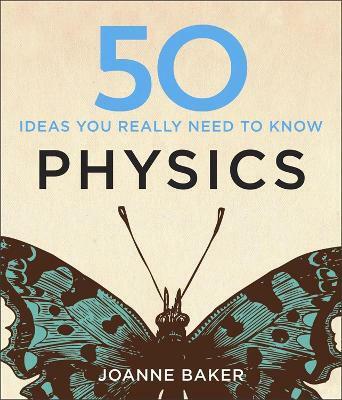 In 50 Physics Ideas You Really Need to Know Joanne Baker will uncover the physics all around us, from basic concepts like gravity, light and energy through to the complexities of quantum theory, chaos and dark energy. Featuring short biographies of iconic physicists, explanatory diagrams and timelines showing discoveries within their historical context, this book is the perfect guide to the fundamental concepts of physics, making even the most challenging theories easy to understand.